Welcome to Part 1 of 6 Website Marketing Basics Series, throughout the series we will be covering basic will hopefully give you all the tools you need to make effective use of your website. It’s expected pretty much every business should have a website of some sort, whether it’s a brochure website, a targeted marketing micro-site or a full on eCommerce website … it’s almost a given that if your have a business that business should have a domain name and a branded website. So you’ve got your website, the web design is good, you’re happy with the logo design and the colours and you have dutifully written the content for your pages telling everyone about what your business has to offer and how they can contact you. If you’re happy with that and you have the bare basics up and Google Ranking, Social Media and driving traffic to your website is of no interest to you …. You can stop reading; however if Google Ranking, Relevant Content and Building your Brand is a goal then we can help get you started. Firstly, identify what you’re trying to achieve and then build your Presence Plan around achieving that. Write down what you expect from your website, why you expect that and how that will help your business. Maybe it’s about increasing sales or perhaps it’s about spreading the word of a brand new company but whatever your Expect form your website remember that your website is no different from a lot of other things in life ….. Expectations can change and Presence Plan Phases are a fantastic way to Measure and Monitor that your efforts are not in vein and website expectations are being met. What are the short term and long terms goals of your website. Would a ‘Phase’ approach be of benefit? 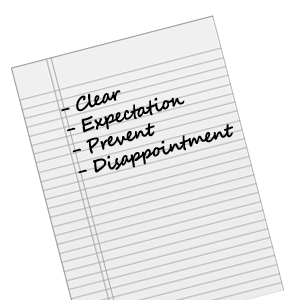 No matter what your plan or approach, remember that a Clear Expectation will prevent disappointing results.